Is the venue able to be booked by the public? yes the venue can be hired on a regular or casual basis either hourly, daily, weekly, monthly or by lease agreement. 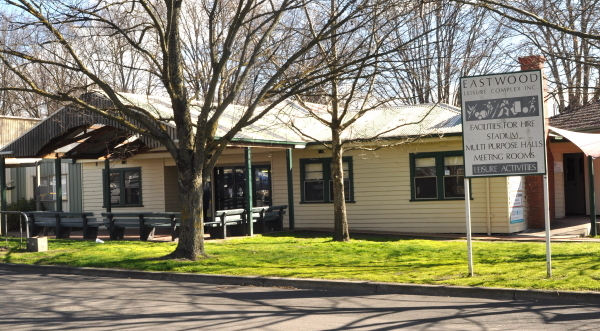 Description of Venue: Beginning its life as the Ballarat Youth Centre in 1940, the Eastwood Leisure Complex has grown to accommodate over 100 user groups providing sport, leisure, artistic and support services to the Ballarat community. The committee of management are extremely proud of this strong history in Ballarat, and the foyer walls (and their website) proudly display an array of interesting historic photographs taken over the decades. Currently the centre's user groups regularly run sporting activities, support activities, art classes, Mothers Groups, yoga, karate, zumba and school holiday programs. 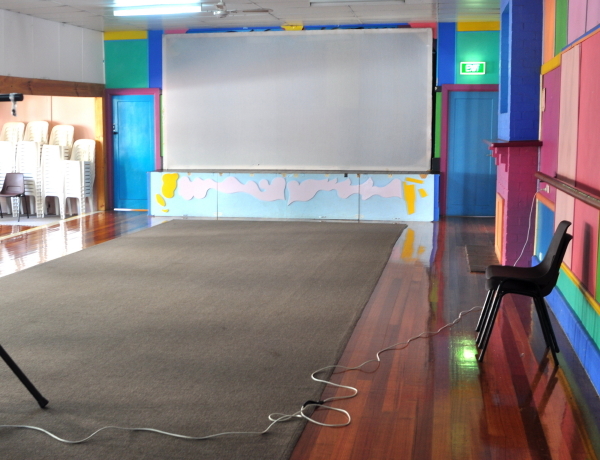 The centre is suitable for casual events such as birthday parties, celebrations and meetings. All activities are open to public enrolment. 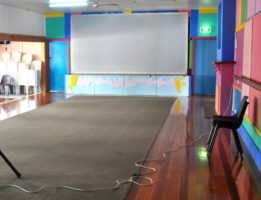 -The Main Hall is suitable for Work Shops, Training and Power Point Presentations. Features of the room include Tables, Chairs, Gas Heating, Ceiling Fans and Ample Floor Space. This Room has access to Urn and Whiteboard. 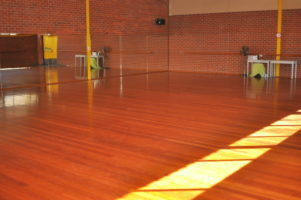 -The Multi-Purpose Room is suitable for Dance or Exercise, it has wooden floors with mirrors along one wall the room, dance bars, a ceiling fan and a gas heater. -The Basketball Stadium is suitable for Basketball, Training, Boot Camps, Indoor Sports and Special Events. 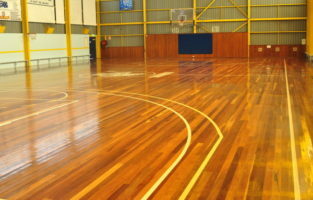 The basketball stadium has a pull back recessing hoops. 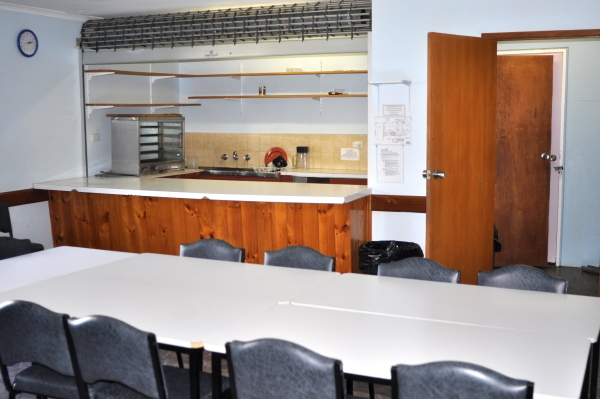 -The canteen is suitable meetings and social gatherings. the room includes a gas heater, basic kitchenette and a whiteboard. 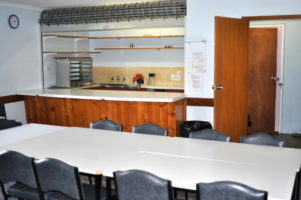 -Meeting Room 3 has the following features access to Tables, Chairs, Gas Heating and a Carpeted Floor. 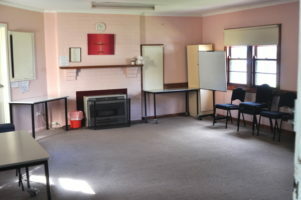 This Room has access to Urn and Whiteboard. Eastwood's website features comprehensive images of the rooms, and a detailed events calendar of ongoing and upcoming events. 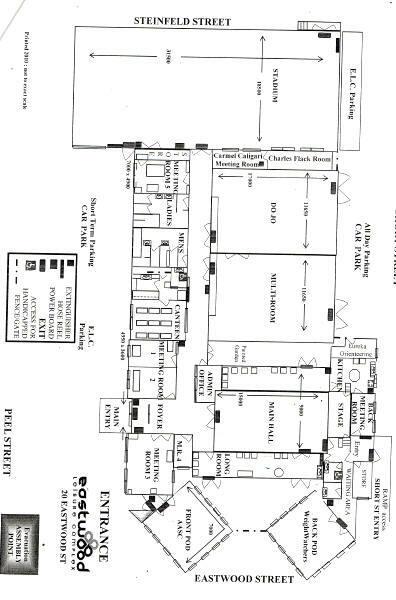 The venue has short term off road parking or street parking. Types of events which are run/held: Member Groups: sport, support activities, regular meetings, art classes, Mothers Groups, yoga, school holiday programs. Sport: Wildcats basketball club, Kyokushin Karate Club, Zumba. Casual use: birthday parties, celebrations. Is the venue open to the public, when and what times? The centre is open 7 days a week, offering a wide range of activities and classes in which the public can enrol in and participate.